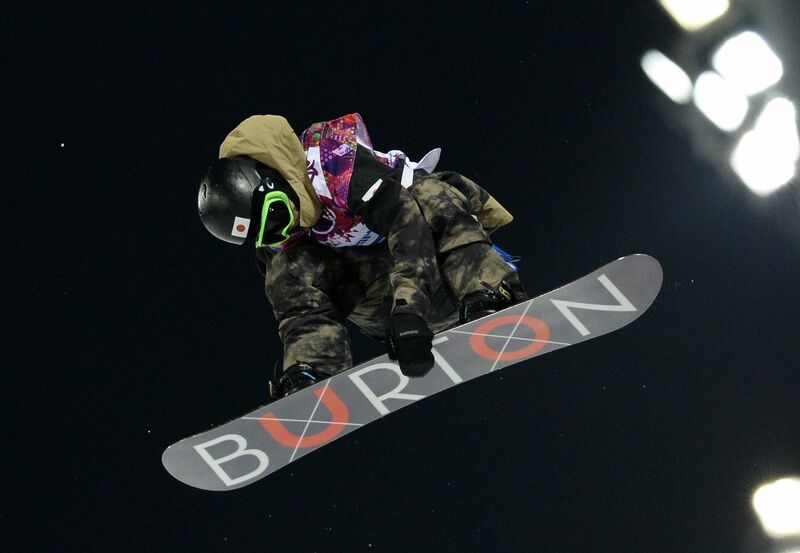 Taku Hiraoka sails through the air on his way to a bronze medal in the men's snowboard halfpipe at the Rosa Khutor Extreme Park. 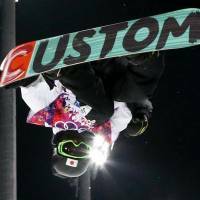 SOCHI, RUSSIA - A pair of teenage Japanese rivals produced results worth seeing Tuesday in the halfpipe event and carved their names in history at the Sochi Winter Olympics. 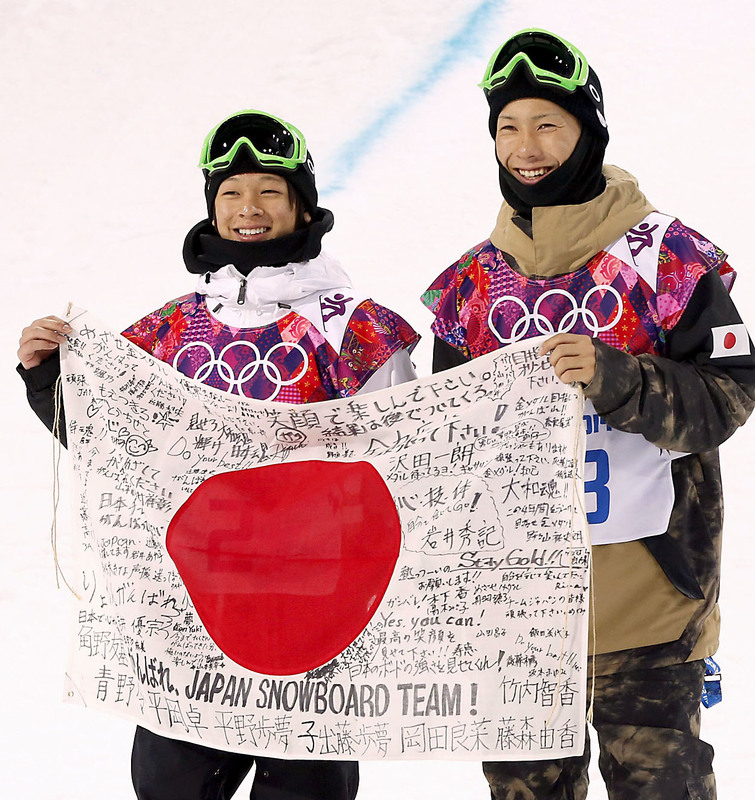 The duo repeatedly executed soaring three-revolution spins and came away with Japan’s first medals in Sochi. 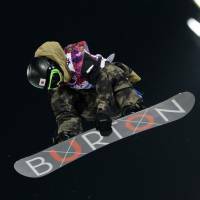 Ayumu Hirano, 15, led after the first round with a score of 90.75 and surpassed that with a second-round jump of 93.50 that pushed 18-year-old Taku Hiraoka into third place. Switzerland’s Iouri Podladtchikov, or “I-Pod” as he’s commonly known, took the gold with a tremendous second-run worth 94.75 points. 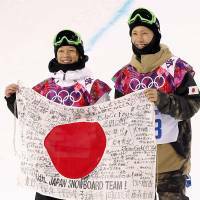 Hirano and Hiraoka became the first Asians to win medals in an Olympic snowboarding event. 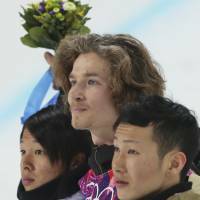 “I was able to put the work I’ve done into my performance,” said Hirano, who was second and became the youngest Olympic ski or snowboard medalist. 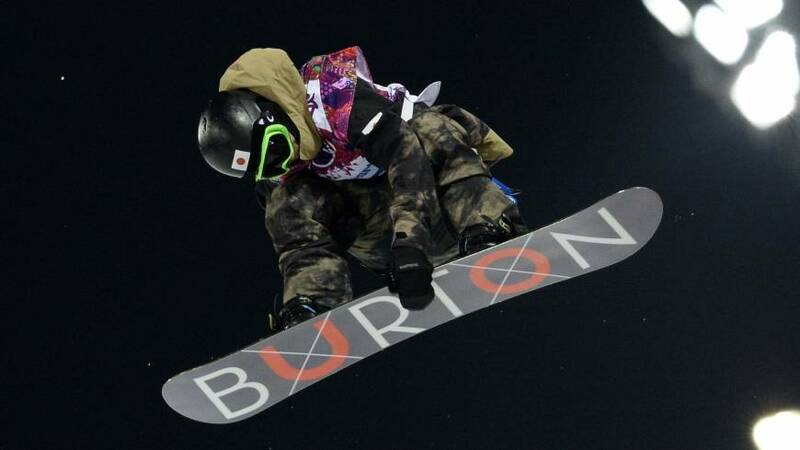 Hiraoka, who had a mediocre first run in the final, was followed by Hirano, who went to the top of the first-round standings. 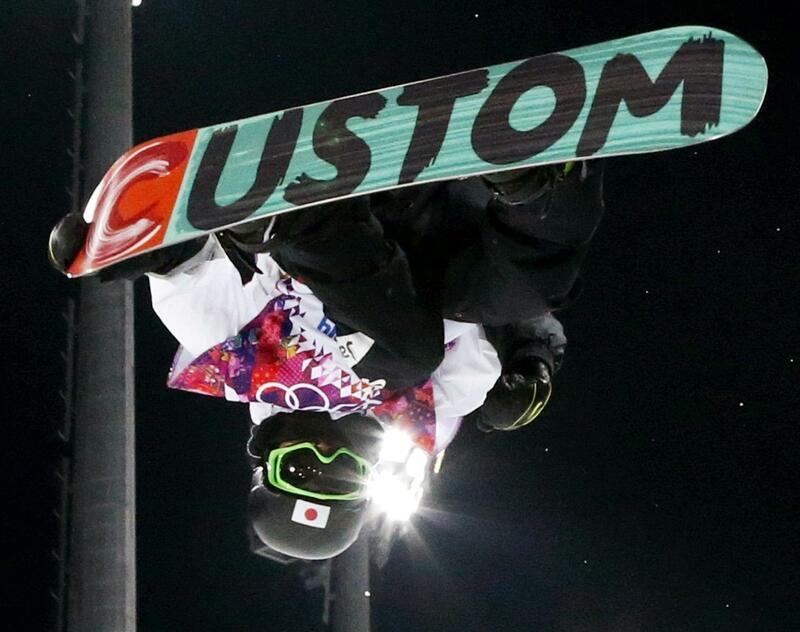 With one last chance and needing a big score to challenge for a medal, Hiraoka got the job done with his second run. “I put together a good ride,” said Hiraoka, who admitted thinking he could do better and proved it with one soaring aerial after another. Hirano then showed that two could play that game, and produced a silver-medal winning run. “I had to regain my spot from Taku,” he said of his thoughts as he got ready to go. But when all was said and done, the two rivals were at the bottom of the half pipe exchanging high fives. 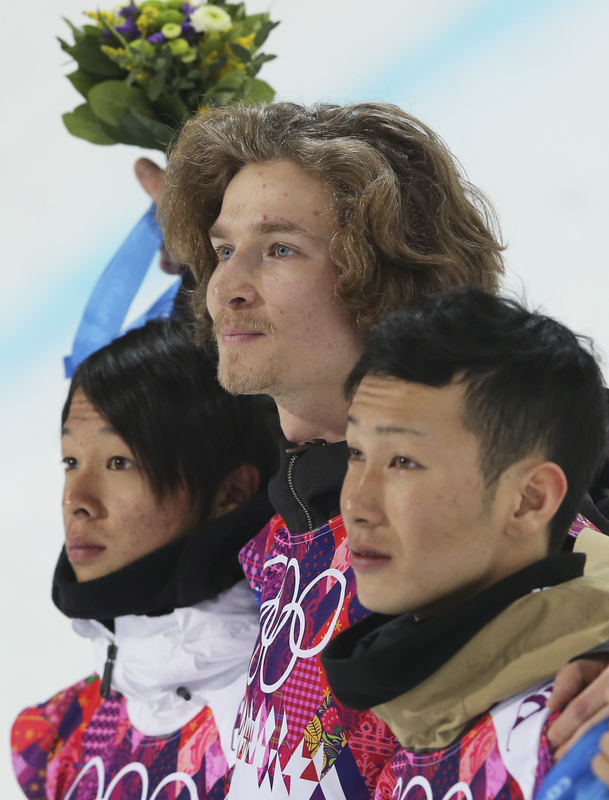 American Shaun White, the best snowboarder of his era, didn’t even earn a medal. He scored 90.25 and finished fourth. 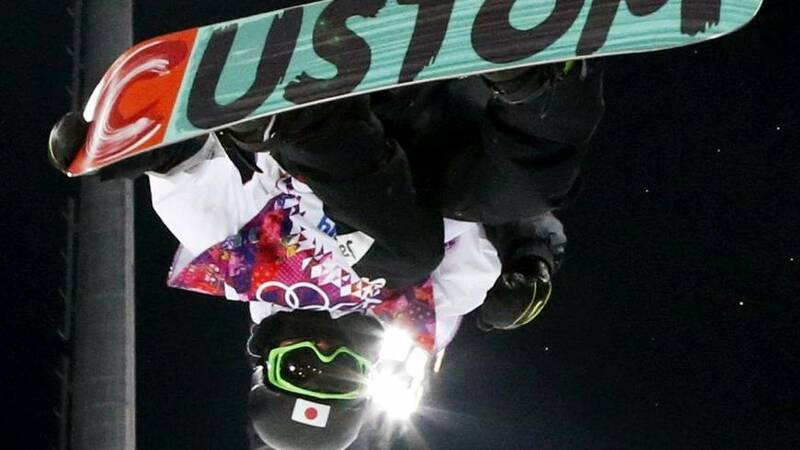 White, who opted out of the Olympic slopestyle debut and put all his chips in the halfpipe, where he hoped to win a third straight gold medal, got knocked off the throne by Podladtchikov.